As a young man at the age of fifteen, Arthur Burdett Frost began an apprenticeship with a local business that taught him techniques in engraving and lithography. Developing a passion for the work, he began what would become a journeyed education in drawing and painting. Although Frost was largely self-taught, he did obtain some formal training while taking night classes at the Pennsylvania Academy of the Fine Arts with the renowned Thomas Eakins, then traveling to Massachusetts to study with marine painter Gilbert Tucker Margeson, and finally arriving at Shinnecock Hills School of the Arts in New York where he briefly studied under William Merritt Chase. By the height of his career, these colored experiences rendered Frost a master draughtsman. Evidence of this can be seen in even his sketches in which his lines are orderly and calculated. Frost worked in pen and ink mostly, but also with engraving and watercolor. Frost’s knack for portraying any type of scene, comedic or otherwise, made him an ideally flexible artist. He could draw in grotesque, finely finished, or sketchy styles, applying whichever was most appropriate to the scene or medium. His first illustrations were produced for Max Adler’s book, Out of the Hurly Burly. 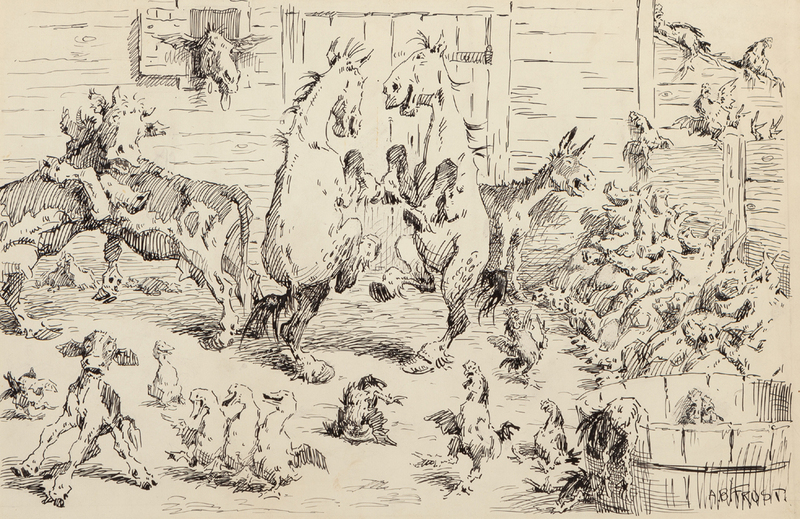 The book's popularity was a surprise to all involved, and luckily launched Frost’s fruitful career as a well-known and sought-after illustrator, opening the door to illustration opportunities for magazines and newspapers. 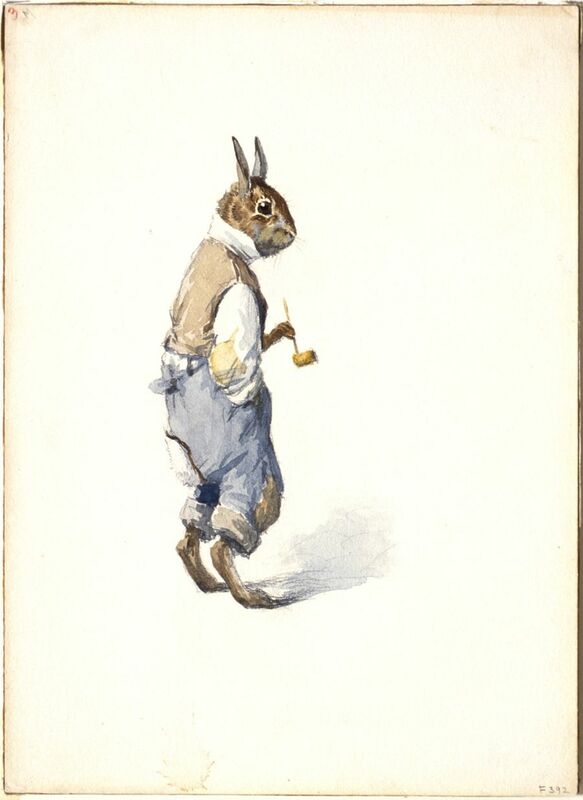 In 1876, Harper & Brothers publishing house was the first company to hire the artist. This syndicate employed some of the decade’s most prolific artists such as Howard Pyle (1853-1911), E. W. Kemble (1861-1933), Frederic Remington (1861-1909), and C. S. Reinhardt (1844-1896), and ran stories by some of the 19th century’s most significant writers, including Herman Melville (1819-1891) and Mark Twain (1835-1910). Frost would go on to publish illustrations for Harper’s Weekly, Punch, Scribner’s, and, most notably, Life magazine. Frost’s work was informed and inspired by many artists. His teachers surely left a lasting impact on him, but perhaps the artist’s biggest inspiration came from English photographer Eadweard Muybridge, who used state of the art technology to produce quick, serial photographs that captured progressing phases of movement—a technique known best through the artist’s groundbreaking studies for The Horse in Motion, from 1878. Frost borrowed and translated this, developing what came to be the American comic strip style, made up of successive imagery and dialogue. The style lent itself effectively to the artist’s slapstick sketches. Stuff & Nonsense (1884), The Bull Calf and Other Tales (1892), and Carlo (1913), are the three books published by the artist. Each one houses a collection of comedic graphic stories, made up of sequential images. Later in his career, Frost honed his ability to replicate scenes from real life in a pictorial realism. 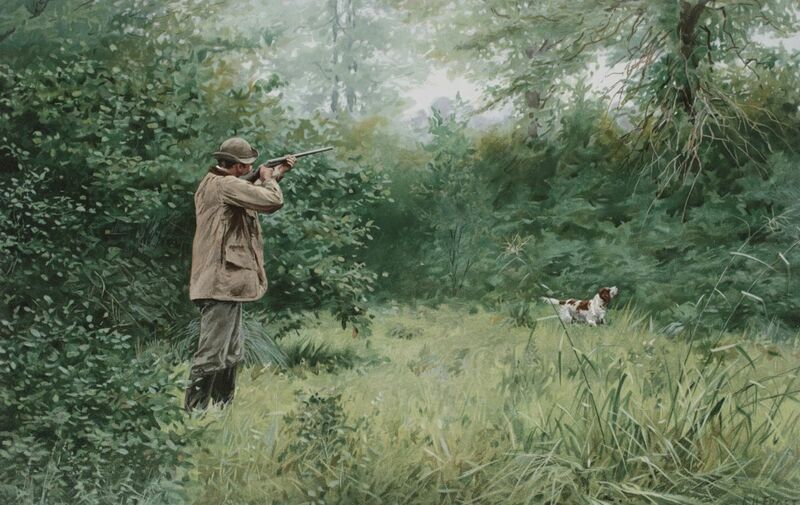 As such, his convincingly intimate renderings of rural life and authentic details of sport (mostly hunting and fishing) became another part of his legacy by the end of his long career. Frost was a member of the Tile Club of New York, which was established for the promotion of the arts and crafts movement through the inspiration and creation of tiles. He was also involved in the Philadelphia Sketch Club, Society of Independent Artists, and the Society of Illustrators. His work was exhibited at the Tile Club, Chicago World’s Fair, Columbian Exhibition (1892-93) and the Pennsylvania Academy of the Fine Arts. Notable collections of the artist’s work can be found at The Library of Congress (mainly preliminary sketches), Sterling and Francine Clark Art Institute, Smithsonian American Art Museum’s Renwick Gallery, George Eastman House, University of California (Department of prints and drawings), Rice University (Department of prints and drawings), and The Carnegie Arts of the United States Collection. 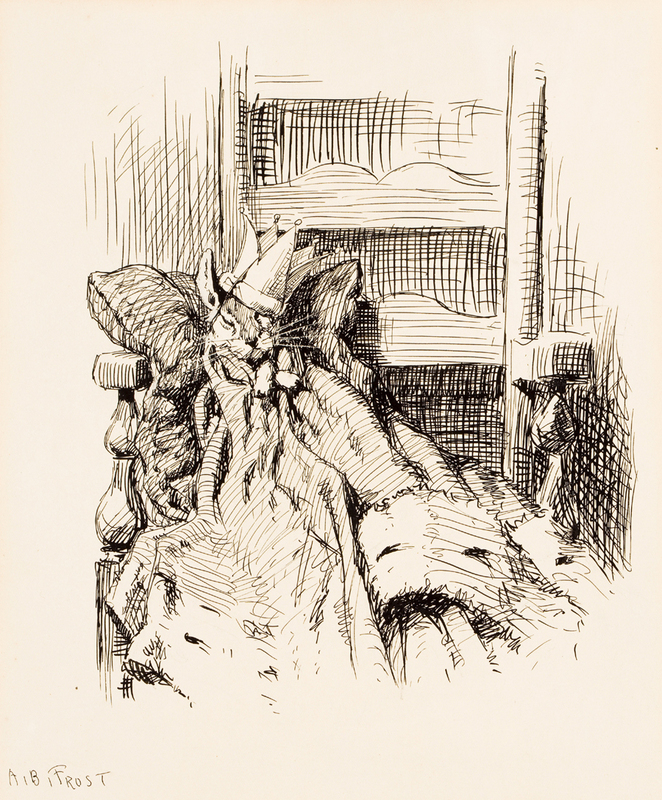 A collection of prints by the artist are housed in the Norman Rockwell Museum's archive, and a significant online collection of his works can be found on the Morristown Library website. Walt Reed, The Illustrator in America: 1860-2000 (New York: Society of Illustrators, 2001. ), 77. Ibid, 39. The group lasted from 1877-1887 and had 31 members. Joseph Pennell, Pen Drawing and Draughtsmen: Their Work and Their Methods (Charleston, SC: Nabu Press, 2012). Frost, A.B. A.B. Frost : An Anthology. Seattle, WA: Fantagraphics, 2003. Frost, A.B. Stuff & Nonsense. London: George Routledge & Sons, 1910. Pennell, Joseph. Pen Drawing and Draughtsmen: Their Work and Their Methods. Charleston, SC: Nabu Press, 2012.